We are excited to announce that we have won an Eastern European Business Elite award. Eastern Europe Business Elite Awards was founded and is operated by Corporate Vision Magazine, with the intention of highlighting and rewarding key firms and individuals that have built dynamic businesses based on modern services, creative solutions and innovative products. As the organizers say: >We recognise those firms with unfaltering client and customer service, and those firms who will endeavour to offer the very best in their respective industries. 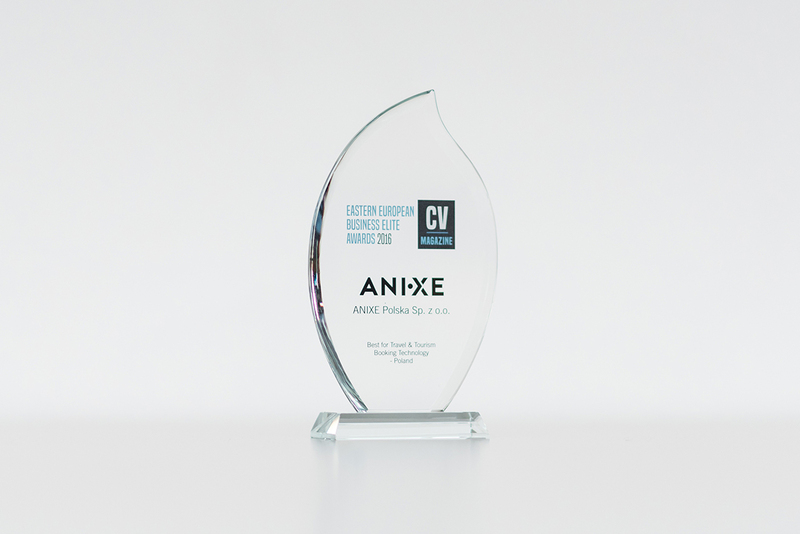 ANIXE was awarded ‘Best in Travel & Tourism Booking Technology 2016 - Poland’. What can we say…hmmm…we did our best!